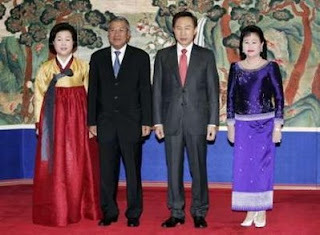 Mr. Hun Sen (2nd left) and RoK President Mr. Lee Myung-bak (2nd right) flanked by their wives during the inauguration of Mr. Lee in Korea. Cambodian Prime Minister Hun Sen will pay an official visit to the Republic of Korea (ROK) from June 3-5, according to news reports. During the official visit, Cambodia and the RoK will sign several cooperation agreements including the grant to Cambodia, loans for Cambodia's road rehabilitation, waste water treatment, Siem Reap River's development and cooperation in the fields of construction, energy, mines and communications. The delegation included Deputy Prime Minister and Foreign Minister Hor Namhong, Senior Minister and Commerce Minister Cham Prasidh, Senior Minister and Minister of Land Management, Urban Planning and Construction Im Chhun Lim and other members of the royal government. The RoK became the largest foreign investor in Cambodia in 2007. The Moc Bai border gate at Khmer-Vietnamese borders. Vietnam’s southern Kien Giang province and its Cambodian neighbour, Kampot province, have put into use 13 new border markers built on their common borderline. Addressing the inauguration ceremony on May 29, Kampot’s President Khuoi Khunhua said the event marked a new step in the development of the bilateral relations between the two provinces. The event also showed the unceasingly efforts at the two countries’ border areas in building a borderline of peace, stability and development. At the ceremony, the two sides agreed to upgrade a couple of border gates – Ton Hon (Kampot) and Giang Than (Kien Giang), in order to facilitate trade and travel between people of the two provinces. Earthwatch Institute: Operating since 1971, Earthwatch offers tour options that include helping scientists identify caterpillars in Ecuador and monitoring Madagascan mammals. Warning: Don't confuse "nonprofit" with "bargain." The donation to take a tour can be thousands of dollars per person, but it has raised more than $67 million for environmental causes. PEPYride in Cambodia: After a few socially conscious Americans took a bike tour in Southeast Asia, they decided to lead curious travelers through Cambodia and use the funds -- and the volunteers -- to help build schools. On Aug. 15, a small group will head off for a $1,280-per-person, seven-day tour near Siem Reap, where the vacationing volunteers will help maintain a schoolhouse. Habitat for Humanity: This faith-based nonprofit was established in 1976 and helps build housing for needy families in 90 countries. Swing a hammer here in America or look into its Global Village programs. 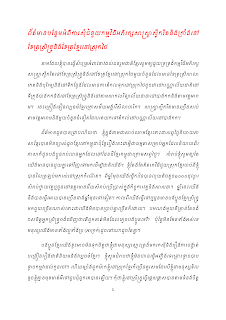 In a speech given at the forum for Indigenous People held at the UN headquarters in New York City yesterday, a Khmer Krom woman indicated that all that Khmer Krom people want is to be able to live with their Khmer identity preserved and be able to practice their cultural Khmer heritage. Somalin Thach, a representative of the Khmer Kampuchea-Krom Federation (KKF), broke down with emotion during her speech given at the United Nation of the Permanent Forum on Indigenous Issues (UNPFII) in New York yesterday, while reminiscing about her parents’ flight from Kampuchea Krom (current South Vietnam) because of the discrimination of Khmer Krom people by the Hanoi regime, and also because of their unique Khmer cultural heritage. RFA was not able to obtain Ms. Somalin Thach’s comment on her speech because she is currently flying back to her home in Seattle, Washington. Nevertheless, Mr. Thach Ngoc Thach, KKF executive director who is still leading the Khmer Krom delegation in the meeting in New York, indicated that Ms. Somalin Thach’s speech caught the attention of the foreign forum participants. The latest news from Preah Vihear on Sunday 31th May indicated that Thailand had sent more troops to the disputed Preah Vihear regions, reports Deum Ampil. 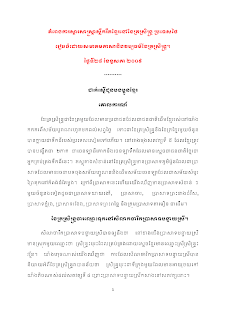 Deum Ampil reported that, according to Cambodian military sources from Preah Vihear on 31th May, the Thai military had also removed Mr. Arwuth Saenjak, the regions' commander and replaced him with a new commander. 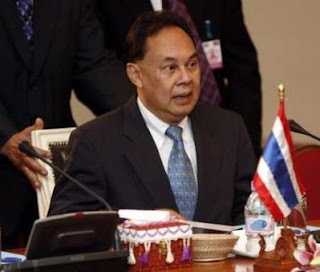 The same report said that the new Thai commander has sought a meeting with Gen. Srey Doek, Cambodian commander for the Preah Vihear region, on Monday the 1st of June. There are 5 pages. Please click every page to read. 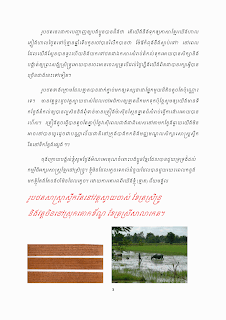 Mr. Chey Mongkol, a Khmer Surin, is trying to set up a project to preserve Sastra Sleuk Rith (palm leave inscriptions) which were ancient Khmer books written on palm leaves before printers were introduced to Cambodia. These palm leaves inscriptions were very valuable and priceless. He needs some fund to be able to set up the project. P.O.Box 27. Surin City, Thailand. There are 5 pages. Please click every page the read all the pages. KANDAL, Cambodia (UCAN) -- Caritas Cambodia is seeing positive results four years after establishing its rice bank program to help poor rural families. In Lavear Am and Kandal Stueng districts in Kandal province, for instance, the program has significantly benefited impoverished households, says Chhay Meng, Caritas Cambodia's program manager in this province. The program here is just one of the many rice bank schemes that Caritas is involved in across the country. Caritas is the Catholic Church's social service agency. "Confronted by immense poverty and suffering, our most fundamental response has been supporting marginalized communities by sharing resources, supplying seeds for farmers, increasing their output and supplies, and helping to reduce their dependence on high interest loans," he said. Meng said that Caritas has managed to help six communes and 13 villages in the province, directly benefiting up to 250 of the poorest families. The good thing about the program, he said, is that although Caritas is the principle sponsor, it is the local people who are mainly responsible for the day-to-day running of the rice bank. Farmers contribute 20 kilograms of rice to the bank on joining the scheme. Participants wishing to borrow rice to feed their families will have to pay 20 percent interest on what they borrow. However, the interest rate goes up to 50 percent on rice seed for planting, which they pay back at harvest time. If they default on a repayment, then it can affect their ability to borrow in the future. The scheme also allows farmers to save rice, said Meng. Rice bank officials are elected by rice bank members in the villages and staff from Caritas Cambodia. There are three main officials per district: director, deputy-director, and cashier. According to Yem Nuon, 54, cashier in Kandal's Stueng district, Caritas Cambodia in 2005 provided 250 kilograms of rice to poor families in her district. Since then the rice bank has grown significantly so that there is now a reserve of about three tons. "I'm very thankful to Caritas Cambodia for assisting the poor families in our village," she said "If our crops fail, we can borrow seed from the bank. If we borrow from other sources, we have to pay double the interest (almost 100 percent)," she said. Hem Pring, 60, director of the rice bank in the same village, said her village has 26 families already registered as members of the program and 56 other people are about to join. "The members are living better lives now," she added. Scavenging for bits of plastic, metal and glass that earn them an average $10 (Dh36.70) a month, the children of Phnom Penh's municipal rubbish dump are among Cambodia's poorest. Hundreds of families live on and around the 100-acre (40.5-hectare) site, making their meagre living from the materials they collect on the steaming rubbish heap, replenished daily with 900 tonnes of the capital's refuse. "We don't go to school. I'd like to but I need to pick the litter and earn money. I have nine siblings and they all work the same job as me," said 13-year-old Mek. Dump trucks rumble in and out of Stung Meanchey landfill site throughout the day, while the toxic waste that covers sink holes burns in the sun. "I really worry about the children working on the dump especially because of the rubbish trucks that sometimes hit the children, because it's hard to see them up there," said 26-year-old father-of-two Chan Samon. His fears are not unfounded – in February a 16-year-old girl was killed when a bin fell on her head. There have been numerous victims like her since the site opened more than 45 years ago. Chan Samon told AFP he earns a pittance selling mostly bottles and cans to Vietnamese buyers. Middlemen come to nine storage depots at the dump's entrance, before selling it on to recycling companies for profit. One kilogramme (2.2 pounds) of plastic fetches 10 cents, while one kilogramme of iron or a glass bottle goes for 2.5 cents. But these slim pickings are all these families have. Many of them arrived in Phnom Penh from the rural provinces in the hope of finding better work, only to discover their only option was to join those foraging for rubbish. Now Cambodia's authorities are closing down the site and moving the dump several miles outside the capital. None of the residents are clear who is evicting them, only that they have been told to expect to move at any time. "I heard something about the dump moving but I don't know what's going to happen," said Mek, who has worked at the site since he was three years old. The move has been discussed locally since 2003, residents said, but a recent letter sent out by municipal authorities to all Phnom Penh residents confirmed the closure would take place in the "second quarter" of the year. It said rubbish collection prices would need to rise because of the move, which it said was necessary because of the "environmental impact" of the site, citing the noise, smell, smoke and poor underground water quality. Until the proposed eviction a few lucky children had escaped the grimy work thanks to about a dozen charities set up around the landfill site. The organisations pay parents for lost income while they provide their offspring with schooling, clothes, food and a clean place to sleep. "When I was up on the dump I met (charity outreach worker) Theary and he was interested in helping me and he brought me here," said 10-year-old Srey Neat, one of 96 children being looked after by Theary, who goes by only one name, and the charity "A New Day Cambodia". The centre pays parents 10 dollars a month to keep their children away from the scavenging work. But with the dump's closure, that helping hand may not be able to stretch far enough if the dump dwellers move further afield. "We have some concern about whether some of the parents will need to move away and would like to take their children with them," said the centre's director Annette Jensen. The landfill site is expected to be rebuilt next to Cambodia's infamous Killing Fields, where thousands of people were killed and buried by the communist Khmer Rouge regime during its 1975-1979 rule. Chan Samon said he will have no choice but to take his wife and two children and move over to the new site. "If the dump moves we will have to move with it. I have no choice because I don't have any other job," he said. 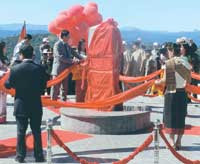 The inauguration of Khmer-Vietnam border gate. Two border gates in the southern Vietnamese province of Kien Giang and the Cambodian province of Kampot will be upgraded to become national border gates. The People’s Committee of Kien Giang province and the Administrative Committee of Kampot province held a ceremony on May 29 to launch the work for Giang Thanh border gate of Kien Giang and Ton Hon border gate of Kampot. They also inaugurated border landmark No 302. These efforts aim to satisfy the daily needs of people from both countries and give a new impetus to bilateral trade and import-export activities. 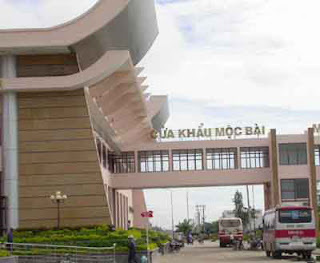 Apart from the Giang Thanh border gate, Kien Giang province also has another border gate at Ha Tien, which has become one of the busiest international border gates in the Mekong Delta region over the past three years. Exports through this border gate reached nearly US$30 million in the first five months of this year, an annual rise of 30 percent. Textile workers in Cambodia. The duty-free access for Cambodian garments to American markets would boost employments in Cambodia which has suffered great decline due to world economic slowdown. Karachi—Two US Senators Dianne Feinstein, and Kit Bond have introduced a bill that would grant duty-free access (upto a limit) for textile and apparel goods, to 14 least-developed countries (LDCS) that are not currently beneficiaries under any U.S. preference program. According to information reaching Pakistan, they are Afghanistan, Bangladesh, Bhutan, Cambodia, Kiribati, Laos, Maldives, Nepal, Samoa, Solomon Islands, East Timor, Tuvalu, Vanuatu and Yemen. The same benefits would be made available to Sri Lanka as well. A large number of textile exporters and industrialists, while expressing concern over this development, have said that this move will further shrink Pakistan’s share in US textile market. Chairman F B Area Association of Trade and Industry M Idress Gigi said that this is alarming. Pakistan is an important ally of USA in war on terror and we have been trying to get duty free access in American market. But we did not get the access and our competitors Bangladesh and Sri Lanka got it, he said. Former chairman Towel Manufacturers Association of Pakistan S M Obaid said that the government must take up this matter with US government and get a market access for Pakistani exporters. Pakistan has sustained huge losses on account of terrorism. We are the strong ally of USA and we have a valid case for this access, he noted. If this bill is passed it will be a disaster for our textile exports, he added. Chairman North Karachi Association of Trade and Industry Muhammad Younus Khamisani said that the cost of Pakistani textile is already high due to high mark up and utilities rates. Duty free access to Sri Lanka and Bangladesh will shunt out Pakistani textile products from USA, he observed. The goal of the legislation is to help promote democracy while sustaining vital export industries and creating employment opportunities in LDCs. The $2.1 million compensation claim against the Thai government for damages to a Cambodian market and 264 stalls has been a new sticking point in the Khmer-Thai border issues, reports Koh Santepheap. The Thai government had, through the media, rejected outright the Cambodian claim by saying that the market and those stalls were built on Thai territory. Answering a question from Cambodian journalists during a press conference after the Asean-EU Meeting in Phnom Penh on 28th May, Thai Foreign Minister, Mr. Kasit Piromya (pictured), has given an indication that the Thai rejection has not been a forgone conclusion. He said that the location of the burnt market has not been determined of which country it belongs. Therefore, the compensation claim lodged by Cambodia cannot be decided until the ownership of the location has been determined by the Khmer-Thai border Commission who will start demarcating the areas in June. He added that the market was damaged during the fighting and under the rules of engagement, it is considered a collateral damage. Regarding the proposed construction of a replica of the Preah Vihear temple planned by Thai investors, Mr. Kasit said that their only aim was to attract local Thai tourists who are interested in Preah Vihear temple. 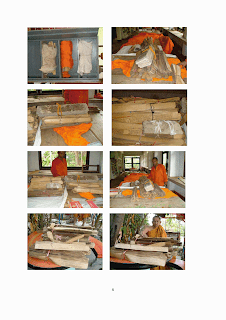 He said that Preah Vihear temple had already been replicated in Samut Prakan province. He added that not only Preah Vihear temple that had been replicated. Other Cambodian temples, Japanese, Chinese and Italian landmarks had also been replicated in many tourist areas in Thailand also. Mr. Kasit said that Cambodia and Thailand are like brothers because the two countries had very similar traditions, similar cultures and similar ways of living. He added that Thailand had helped Cambodia in many areas of developments such as education, health, electricity and other sectors that can help boost the developments in Thailand also. He said that Thailand wants to strengthen relations with Cambodia and to resolve border issues with Cambodia through peaceful means by using the Memorandum of Understanding signed between the two countries in 2000. Thailand did not oppose the listing of Preah Vihear temple by Unesco, he said. On the contrary, Thailand is applauding the list of Preah Vihear temple on the World Heritage List. Thailand and Cambodia are scheduled to start border demarcation works in the Preah Vihear areas in June. However, many analysts don't expect the works to make any progress because both countries have staked a claim to many areas in the vicinity of the temple which are considered "overlapping areas" by Thailand, but are considered to be "Khmer territories" by the Cambodian government. 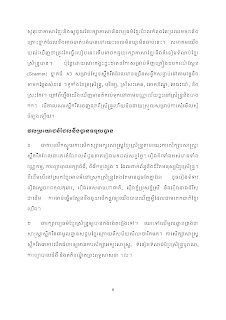 The two sticking points are the use of different maps between the two countries and the Thai insistence of the use of the word "Phra Viharn" as a reference to the name of the temple in the official documents which Cambodia vehemently opposed. The Phnom Penh Municipality has given permission to Khmer Krom community to commemorate the 60th anniversary of the loss of Kampuchea Krom, but forbid them from marching and rallying in public places, reports Deum Ampil. Mr. Thach Setha, president of the Khmer Krom Association, said that he is very surprised about the permission given to his people because previous applications for such a permission had been repeatedly rejected in the past. Kampuchea Krom was a former Khmer territory comprising 21 provinces and towns which was occupied by Vietnam long before the French established their Protectorates in 1863. Napoleon III promised with King Norodom that after France leaves its Protectorates in Indochina, Kampuchea Krom will be returned to Cambodia's control. But on 4th June 1949, the French parliament voted to cede Kampuchea Krom to the Vietnamese control, giving 21 Cambodian provinces to Vietnam. Khmer Krom people around the world had commemorated the loss of Kampuchea Krom every year, but their permission to hold a commemoration anniversary in Cambodia had never been granted, until this year. Some analysts and observations said that the Cambodian government acquiesced and made a concession because of the pressures from the participants of the Asean-EU Meeting that has been taking place in Phnom Penh at the time of the application for hold the commemoration service. 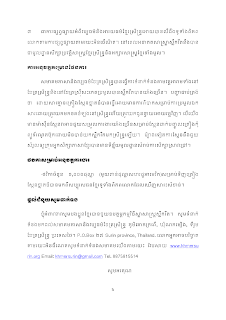 During the Asean-EU Meeting in Phnom Penh from 27-28th May, several Khmer Krom associations had made an appeal to the delegates to put pressures on Vietnam about the oppression and restriction of the freedom of Khmer Krom people by the Vietnamese authority. And at the beginning of May, the UN Human Right Council had reprimanded Vietnam for its human right abuses against the Khmer Krom people. Twenty two MP's from the Sam Rainsy Party (SRP) and the Human Right Party (HRP) had staged a mass walk out of parliament yesterday, after Mr. Heng Samrin, the president of the National Assembly, rejected their proposals for amendment to the draft bill for the strengthening of human right protection for disabled people in Cambodia, reports Deum Ampil. During the parliamentary session on Friday 29th May, the SRP and the HRP had submitted a proposal for the amendment of the draft bill for the protection and the strengthening of the rights of disabled people, but their proposal was swiftly rejected by the president of the National Assembly. Twenty two MP's from the two opposition parties then started a mass walk out. The ruling Cambodian People's Party (CPP) hit back by saying that the oppositions' walk out was in violation of the internal rules of parliament and a contempt of the parliament. The CPP said that its MPs had discussed a possibility whether to consider the pay cut for those opposition MP's who boycotted the parliamentary session without the parliament's permission. Mrs. Mu Sochua, MP from the SRP, said that, in principle, the oppositions support the draft bill but wanted to add certain provisions to the draft bill. She said: "In principle, the two opposition parties support the wording of the draft bill but we want to add some provisions in order to further strengthening the effectiveness in the protection and the promotion of disabled people. But, sadly, our proposal had been outrightly rejected by the 72 MP's from the CPP, Funcinpec and the Norodom Ranariddh Party, even before they have a chance to read the contents of the proposal." Mr. Chheang Vun, chairman of the 5th Parliamentary Commission in charge of foreign affairs and international cooperation, said that the ruling CPP will not pay attention to the oppositions' protest walk out. He said: "During this morning's parliamentary session, the Samdech President of the National Assembly has correctly conducted the business of the parliament in accordance with internal rules of the parliamentary procedures. All the provisions of the draft bill had provided enough protections for the disabled people, so all the MP's did not support the amendments from the opposition SRP and HRP parties." On the morning of the parliamentary session on Friday, the opposition parties had submitted their proposal for consideration but the president of the National Assembly refused to distribute their proposal to all MP's for the reading and consideration. All 22 oppositions' MPs present staged a mass walk out. According to Deum Ampil, the MP's from the ruling CPP had discussed about the possibility of cutting of the pay of those MPs who had staged a walk out. China has pledged $712 million in concessional loans to Cambodia for the developments of 11 projects, reports Deum Ampil. The Chinese pledges were announced by Cambodia's Minister of Finance after the return trip from China on 29th May. Cambodia had originally applied for $1,300 million ($1.3 billion) in concessional loans to develop and upgrade 11 projects, but China had only agreed to lend only $712 million. Spokesman for the Ministry of Finance said that the Chinese loans were pledged during a visit of Mr. Aun Pornmonirath, Cambodia's Secretary of State of the Ministry of Finance, to China recently. THE publisher of a daily Khmer-language opposition newspaper said Thursday he has been summoned to appear in Phnom Penh Municipal Court on June 3 to answer to charges of publishing false information. Hang Chakra, the publisher of the pro-Sam Rainsy Party newspaper Khmer M'chas Srok, said he received the court summons Tuesday. He said he does not know which articles prompted the charges but expected they were related to a series of articles that he said uncovered corruption on the part of officials working under Deputy Prime Minister Sok An. Government lawyer Suong Chanthan said he filed the complaint on May 11 but declined to detail the charges beyond saying that he filed them "on behalf of government lawyers". Hang Chakra said his lawyer and he have agreed to appear for the hearing on June 3 at 8:30am. He said he would stand by his articles, adding that the outcome of the case would depend largely on the level of independence exhibited by the court. "I am concerned because, as we already know, [the] court is controlled by the powerful people. So it might not be on the side of journalists," he said. PHNOM PENH (Xinhua)-- Cambodia will have its first taxiway next month in Phnom Penh International Airport, a path that connects the runway to where airplanes park to increase the flight capacity of the airport, local media reported on Friday. The US$9 million taxiway, which is 1,250 meters long by 44 meters wide, roughly the same size as the existing runway, will allow for more takeoffs and landings each day, Khek Norinda, communications and marketing manager for Societe Concessionaire des Aeroports (SCA), was quoted by English newspaper the Cambodia Daily as saying. SCA, which is financing construction, is a French-owned company and manages Phnon Penh International Airport, as well as the airport in Siem Reap and Sihanoukville, under a contract with the government that runs until 2040. The construction began in May of last year and will be finished in June of this year. Currently, only 10 passenger planes can land or take off in an hour from the airfield at Phnom Penh's airport, said Sok Puth Thoeun, director of the airport's engineering department. That will jump to at least 16 planes with the planned taxiway. "It is the first parallel taxiway for Phnom Penh International Airport," he added. The State Secretariat of Civil Aviation also has a master plan to build a parallel taxiway at Siem Reap International Airport, said Sok Puth Thoeun. They say the trend in western Cambodia has to be urgently contained because full-blown resistance would be a global health catastrophe. Drugs are taking longer to clear blood of malaria parasites than before. This is an early warning sign of emerging resistance to a disease which kills a million people every year. Until now the most effective drug cleared all malaria parasites from the blood within two or three days but in recent trials this took up to four or five days. The BBC's Jill McGivering, reporting from Cambodia, says it is unclear why the region has become a nursery for the resistance - but the local public health system is weak, and the use of anti-malaria drugs is not properly controlled. The artemesinin family of drugs is the world's front-line defence against the most prevalent and deadly form of malaria. Two teams of scientists, working on separate clinical trials, have reported seeing the disturbing evidence that the drugs are becoming much less effective. 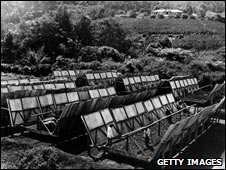 There is particular concern because previous generations of malaria drugs have been undermined by resistance which started in this way, in this part of the world, our correspondent reports. 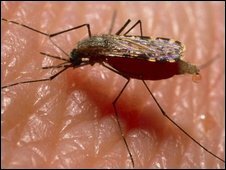 The World Health Organization warned in 2006 there was a possibility the malaria parasite could develop a resistance to artemesinin drugs, and that there was particular concern about a decreased sensitivity to the drug being seen in South East Asia. It urged drug firms to stop selling artemesinin on its own to in order to prevent resistance building up. Early results from two studies by US and UK teams have both revealed the early stages of resistance. Between a third and a half of patients in the US study saw delayed clearance of the malaria parasite. 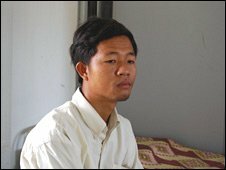 In the UK study, patients in the Cambodia arm of the trial took almost twice as long to clear the parasite as a comparison group in Thailand. Professor Nick Day, director of the Mahidol-Oxford Tropical Medicine Research Unit which is carrying out the UK study, said: "Twice in the past, South East Asia has made a gift, unwittingly, of drug resistant parasites to the rest of the world, in particular to Africa," he said. "That's the problem. We've had chloroquine and SP (sulfadoxine pyrimethamine) resistance, both of which have caused major loss of life in Africa," he said in reference to earlier generation anti-malarial drugs. "If the same thing happens again, the spread of a resistant parasite from Asia to Africa, that will have devastating consequences for malaria control," he said. Cambodia has long been a laboratory for malaria investigators and a nursery of anti-malaria drug resistance. Alongside a weak public health system and poorly-controlled drug use, there are many fake drugs, produced by international criminals. These fakes often contain a small amount of the real drug to fool tests, which can also help to fuel resistance. Those working to control malaria are calling for urgent action to contain this emerging resistance. If it strengthens and spreads, they warn, many millions of lives will be at risk. About half the world's population faces exposure to the disease. Speaking at a meeting of EU and South East Asian ministers in Cambodia, the deputy foreign minister insisted that her trial was not a human rights issue. US President Barack Obama has called Ms Suu Kyi's hearing a show trial. The regional group Asean recently warned Burma that its honour and credibility were at stake. The trial entered its ninth day on Thursday, with more testimony from the American who swam to Ms Suu Kyi's house. Faced with a barrage of criticism over their prosecution of the country's most popular politician, the Burmese authorities have made small concessions - for example allowing journalists and diplomats to observe two days of the mainly closed trial. 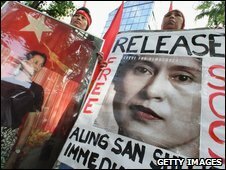 But their determination to produce a guilty verdict against Aung San Suu Kyi has never been in doubt. Now the military government has lashed back at its critics. "We don't accept pressure and interference from abroad," said Deputy Foreign Minister Maung Myint. "The case against Aung San Suu Kyi is an internal legal issue," he said. Ms Suu Kyi is being charged with violating house arrest regulations, because an American man who said he had been instructed by God to save her, managed to swim to her house across a lake. She faces a prison sentence of between three and five years if found guilty, a near-certain outcome, according to diplomats in the country. When that happens there will be more outrage from around the world, and probably plenty in Burma too, although that is unlikely to be expressed openly. But Burma's rulers will press grimly on with their plans for an election next year - an election in which the opposition will be allowed to play only a marginal role, if any. Several Vietnamese exports hold larger market shares in Cambodia than both Thai and Chinese products, said a local businessman familiar with the Cambodian economy. Truong Cung Nghia, executive director of Truong Doan Company, said Cambodian customers preferred Vietnamese products to those from Thailand and China. Processed seafood products from Vietnam held an 80 percent market share in Cambodia while agricultural products made up 67 percent of that market, said Nghia, whose company specializes in Cambodian market research. Nghia added Vietnamese businesses supplied 68 percent of Cambodia’s steel demand. Nguyen Xuan Truong, head of Binh Dien Fertilizer Company’s Marketing Department, said Cambodians used similar daily agricultural products. Truong said his company’s brand was popular with Cambodian farmers in rural areas as the company advertized heavily in the countryside. Sales in Cambodia reeled in higher revenues for the company than its domestic sales did, said Truong. However, it was still risky to trade with partners in Cambodia as they paid in cash and rarely used banks, said Nghia. Truong said about 120 Vietnamese businesses and investors were operating in Cambodian markets, contributing to the US$1.7 billion bilateral trade with Vietnam last year. He said the figure would grow to $2 billion this year. HANOI -(Dow Jones)- Cambodia signed a new contract Tuesday to buy electricity from neighboring Vietnam, Vietnam's Ministry of Industry and Trade said Wednesday. Under the contract signed between the Vietnam Electricity Group and the Electricite du Cambodge, Vietnam will sell electricity to Cambodia via a 220- kilovolt line from southern Vietnam to Phnom Penh, the ministry said. The power line has been transmitting 400,000 kilowatt-hours to Phnom Penh daily since May 8, the ministry said, adding power transmission via the line will be raised to 1 billion kilowatt-hours a year in the near future. Vietnam has been selling electricity to Cambodia via the same power line since 2002, but only to its border province of Takeo. The new contract signed Tuesday comes after the line was extended to Cambodia's capital city earlier this year. On the sidelines of the 17th ASEAN-EU Ministerial Meeting in Phnom Penh on May 28, Mr Várkonyi and Mrs. Sun Saphoeun, Secretary of State of the Ministry of Foreign Affairs and International Cooperation of Cambodia had bilateral talks. After the meeting two Agreements were signed: one on the consolidation and settlement of Cambodia’s outstanding debt towards Hungary with Mr. Ouk Rabun, Secretary of State of the Ministry of Economy and Finance and the other on development co-operation with Mrs. Sun Saphoeun. According to the first document half of the debt will be written off by Hungary whereas the other half will be paid back by Cambodia within two months after the signing of the Agreement. In the context of the debt settlement, the Parties have come to the agreement that Hungary undertakes to finance a Cambodian development project in the amount of at least 40 million HUF which corresponds to the paid back amount. In the course of their consultation State Secretary László Várkonyi and Mrs. Sun Saphoeun agreed that this project will be a reception centre for the victims of trafficking and other vulnerable groups. This project is actually an expansion of an already existing orphanage built with Hungarian help in the eighties. Asian and European foreign ministers line up for a family photo at the 17th ASEAN-EU Ministerial Meeting at Chak Tomuk hall in Phnom Penh May 28, 2009. SIEM REAP, Cambodia (AFP)--Asian governments and international agencies met in Cambodia's tourist hub Friday to push for more trade in the face of the global financial crisis. In statements from the meeting organized by the Asian Development Bank and the World Trade Organization, speakers said they were worried that countries will increasingly engage in protectionism. "In order for Asia to significantly contribute to the world with its open regionalism and growth, each Asian country should refrain from taking protectionist measures," said ADB president Haruhiko Kuroda. WTO director-general Pascal Lamy noted that world trade is expected to contract by 9% in 2009, which would be the first drop in more than 25 years, but said "trade is an essential ingredient to exit the crisis." "We can generate the right peer pressure in order to try collectively to preempt this threat of a shift to world protectionism," Lamy told the meeting. "One country's exports are another country's imports, and the other way around." Lamy and Kuroda announced that Cambodia and Japan will prepare a report on an Aid for Trade initiative to speed up trade reforms in poor countries. The meeting organizers said Asia's 22 poorest economies account for only 0.3% of world exports, a level that has barely increased over the past 25 years. HCM CITY — Economists are urging Vietnamese businesses to launch diversified advertising and marketing programmes to ensure that their products become well known in the Cambodian market. Tu Minh Thien, director of HCM City’s Investment and Trade Promotion Centre, said Cambodia had emerged as a potential market for Vietnamese goods. Thien spoke at a conference on requirements for goods exported to the Cambodian market organised by the HCM City’s Investment and Trade Promotion Center yesterday. He suggested that Vietnamese groups open several distribution channels to deeply penetrate the Cambodian market. 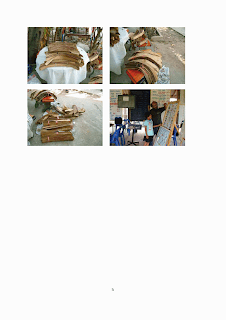 Vietnamese products should also be advertised in the Khmer language, the official language of Cambodia. Thien said Vietnamese companies should organise more exhibitions and fairs in Cambodia as well as conduct surveys to understand Cambodian consumers’ needs, tastes and habits. Thien noted that a high-quality product exhibition in April held in Cambodia recently brought sales turnover of US$3.1 billion to Vietnamese business. According to Truong Cung Nghia, a Cambodian market research analyst, the country is an open market to exporters and foreign investors in tourism, agricultural production, construction, infrastructure and energy. It also has advantageous policies, including free duties on imports, including raw materials for construction, production equipment and spare parts. In addition, foreign businesses are free to set their own prices in Cambodia. However, requirements on foodstuff imports have been strengthened. Labels must now include the name of product, manufacturer, clear origin, weight, production and expiration date. Cambodia has yet to set export requirements for other imported goods. Nghia said commodities such as food, textiles and garments attract Cambodian consumers most. Vietnamese goods have won over Cambodian consumers because they are of similar quality to countries in the region such as China or Thailand but less expensive, according to a survey. The survey was conducted among senior officials of the Cambodian Ministry of Commerce and the country’s consumers during a Vietnamese products fair by Cambodia’s largest daily newspaper, Rasmei Kampuchea. According to the Cambodian Ministry of Commerce, Viet Nam took the lead with US$988 million worth of products consumed in Cambodia last year, surpassing China ($784 million) and Thailand ($674 million). Mrs. Leng Sok Heng and her siblings were manhandled by police during the violent eviction on 27th May, 2009. A long land disputes between two related-families in Phnom Penh have resulted in the violent arrests of the losing party who refused to abide by the court verdict because they say it's very unjust, reports Deum Ampil. According to reports, the land disputes between Mrs. Leng Sophal, 35 and Pak Phally, 33 centred on a plot of lands in Reussey Keo district which saw Mrs. Leng Phally and her sibblings being violently evicted by about 50 policemen and court officials. Mrs. Leng Sok Heng, 42 said that she and her sister Leng Sophal had moved to live in the plot of the disputed land measuring 16.60 m by 13.70 m since 1983. She said that in 1994, Pak Phally bought a plot of land behind her house. 5-6 years later he asked to buy her land for $3000-4000 but she refused to sell. Later he offered to pay $30,000 but she again refused the offer. At this point she claims that Pak Phally staked a claim to the ownership of the land by lodging a legal complaint against her and her sisters to take their land. According to the sisters, because Pak Phally is rich, he had bribed the judges with a large substantial sum of money and he won the case and the violent eviction followed suit, reports Koh Santepheap. On the other hand, Pak Phally claimed that Mrs. Leng Sok Heng and her sisters had illegally lived on a block of land he legally owned since 1996. He took legal action against them in 1997 and won, but the sisters refused to vacate the lands until now that the court began to implement its verdict by evicting Mrs. Leng Sok Heng and her sisters. According to media reports, the two sides of the legal battle are related to each other. Mrs. Leng Sok Heng and her sisters are appealing to Prime Minister Hun Sen to intervene in their case because they said that corrupt judge and court officials have connived with Mr. Pak Phally to lake their land which they rightfully owned since 1983. Members of the Khmer Krom Federation have met with the U.S State Department officials to discuss about the human right situations of Khmer Krom people living in Vietnam, reports radio Free Asia. The Khmer Krom delegation comprising of 5 members was led by Mr. Thach Ngoc Thach, president of Khmer Krom Federation. They met with a group of 8 U.S State Department officials led by Mr. Bratt Blackshaw, head of the Vietnam Affairs at the State Department. Mr. Thach Ngoc Thach said: "There were 8 officials from the State Department who met us. They come from the Religious Affairs, Refugee Affairs, Educational Affairs and the Human Right Affairs of the State Department." Mr. Thach Ngoc Thach said that the meeting resulted in three positive outcomes which give hope to the Khmer Krom's non-violent struggle for self-determination. He said: "We achieved three important outcomes from the meeting. 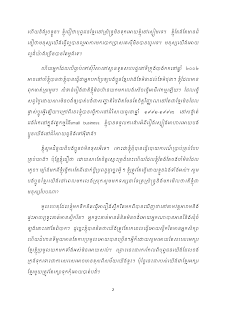 First, all officials are committed to our proposals that the Khmer Krom Buddhist affairs be separated from and independent of the control of the Vietnamese authority. They said that they will continue their efforts to address this issue. Secondly, they are committed to helping Khmer Krom refugees/asylum-seekers. We want them to help Mr. Tim Sakhorn and other 6 Buddhist monks to come to America. The U.S pays more attention to those regugees/asylum-seekers who are recognised by UNHCR and Thai auhtority and they said that when the status of those asylum-seekers are clearer, they are happy to help facilitate their cases. 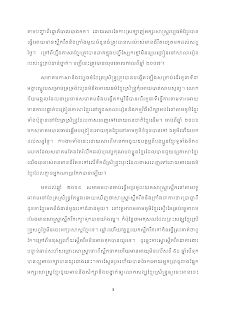 Thirdly, we proposed that America provides scholarships to Khmer Krom students, even a few of them per year is enough, because we wanted to encourage Khmer Krom students to study harder." Pacific Northwest Ballet dancer Sokvannara Sar leaps during his dance routine as shown in Anne Bass’ documentary, “Dancing Across Borders.” Photo provided by Pacific Northwest Ballet. While visiting Cambodia in 2000, American arts patron Anne H. Bass witnessed a rising star. Then 15 years old, Sokvannara “Sy” Sar performed a dance at Cambodia’s famous Preah Kahn temple and caught Bass’ eye. Nine years later, Sar is a member of the Pacific Northwest Ballet Company, and Bass has documented his journey every step of the way. On May 25, Sar’s story, in a film titled “Dancing Across Borders,” produced and directed by Bass, was showcased at the Seattle International Film Festival. Sar’s journey began on the streets of Cambodia. At the age of 9, Sar began his dance education at the Wat Bo School and eventually found himself performing as a lead at the Preah Kahn temple. Bass happened to catch one of his performances. After Bass returned home to the United States, she continued to think about Sar’s performance of the fisherman’s dance. Bass served as Sar’s sponsor on his trip to the United States. Sar arrived a few weeks before turning the age of 17, an unusually late starting age for a ballet dancer. He did not speak any English and was initially rejected from the School of American Ballet (SAB). Peter Boal, then a principal dancer and faculty at SAB, felt that he was not ready and said there was a language barrier. “Already the cards were stacked against him,” Boal said in the film. Sar also had to deal with the culture shock of moving to a different country. He enrolled in a high school and received his diploma in three years. One summer of intense training later, Sar was accepted into SAB and began classes with children ages 6 to 9. To make up for lost time, he spent hours studying privately with ballet teacher Olga Kostritzky. “It’s a one in 1,000 chance that this could work, and I think we found that one,” Boal said. In January 2006, the U.S. State Department in Cambodia organized an evening of cultural performances to celebrate the new embassy building. Sar was among the list of those invited to perform. “[The Cambodians] are so proud of him,” said Roland Eng, a former Cambodian ambassador to the United States. When Boal left SAB in 2006 to become the artistic director of the Pacific Northwest Ballet in Seattle, he invited Sar to attend the company’s school. Sar enrolled one year later. That was the same year Bass developed the idea for the documentary. “When he first came here, I got a video camera so I could film his classes to send a record of his progress to his mother,” Bass said. “That clip just kept running until we had a movie,” Sar said. “I hope that some people who come to this film with no feeling for ballet might develop an interest in dance,” Bass said. “Maybe [this film will] inspire some kids in this country or in my country,” Sar said. Bass hopes that the film will also prompt viewers to offer their support when they recognize unusual talent, like in her case with Sar. Bass plans to continue attending film festivals to distribute the documentary. In January, she previewed the film in Cambodia to great success. Bass and Sar plan to return to show the film to children in various schools. As for Sar, now 24, his future plans involve dance, academics, and some self-discovery. ROCKLIN, Calif. – In a recent email exchange from the Cambodia Mission Team, Glen Gibson, William Jessup University's Intercultural Studies faculty member shared the teams' recent experiences as they touched down in Battambang, Cambodia. Following is an excerpt of their experiences thus far. “After 24 hours of travel – starting in Rocklin and ending in Battambang, Cambodia – not counting layovers, our team has settled into life and ministry in Cambodia. Even though our afternoon activities were rained out today we have already visited two local churches in the Battambang area where we shared testimonies, sang, prayed, made some crafts, and just had fun and fellowship with brothers and sisters in Christ. Their stories are inspiring to us and we hope we have been an encouragement to them. After church on Sunday we climbed 358 steps to visit the ruins of a Buddhist temple on top of a local mountain. We were glad to learn more about the beliefs of the Cambodian people but we were also reminded of the hopeless situation of those many people who have yet to put their trust in Jesus Christ. A great deal of time has also been spent at the Hope Bible Institute over the last three days. There we have played with (simple games, soccer, volleyball, etc), prayed with, and talked with (as much as we can with the language barrier) the students and leaders at the Institute. Yesterday we witnessed more than 50 people be baptized in the pond behind the Institute. Today a Leadership Training Seminar started with over 300 people attending. It is exciting to see the growth of the church in a place that was in such a desperate situation just 25 years ago known as the Killing Fields. We have met many who survived that horrible time – from all sides of the conflict. It is wonderful to see how God has brought them together in Jesus Christ. Now they serve him side by side! Over the next three days we will continue to spend time with the people attending the seminar. We will also visit more churches seeking to encourage and learn from them. 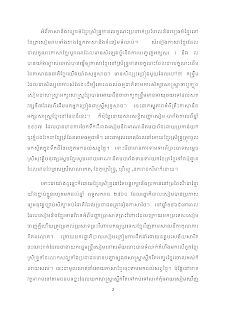 Thank you for your prayers for us and for our Cambodian Christian family.